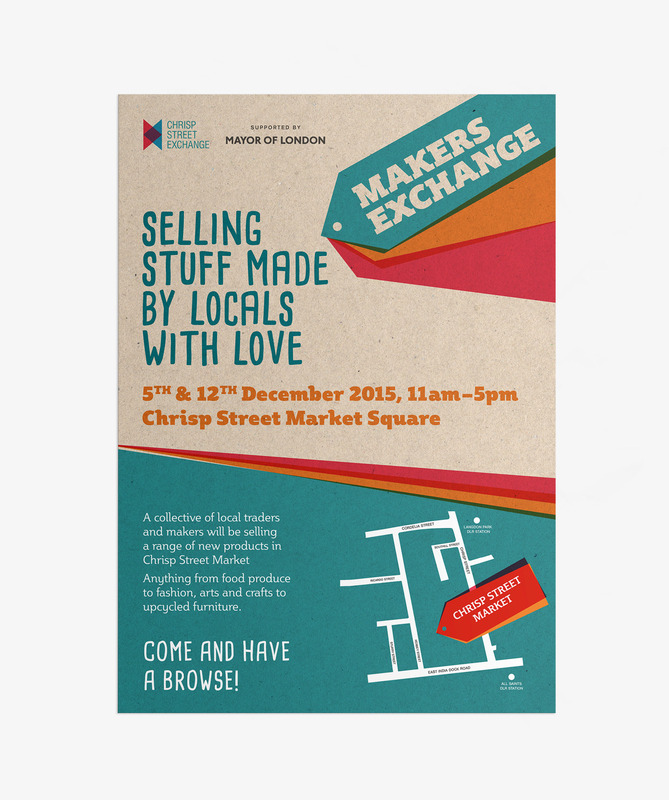 Makers Exchange is a new market that brings together a collective of local traders and makers, supported by the Mayor of London and the Chrisp Street Exchange. Meeting at Chrisp Street Market Square in Poplar, the traders selling a range of products including food, fashion, furniture and crafts. 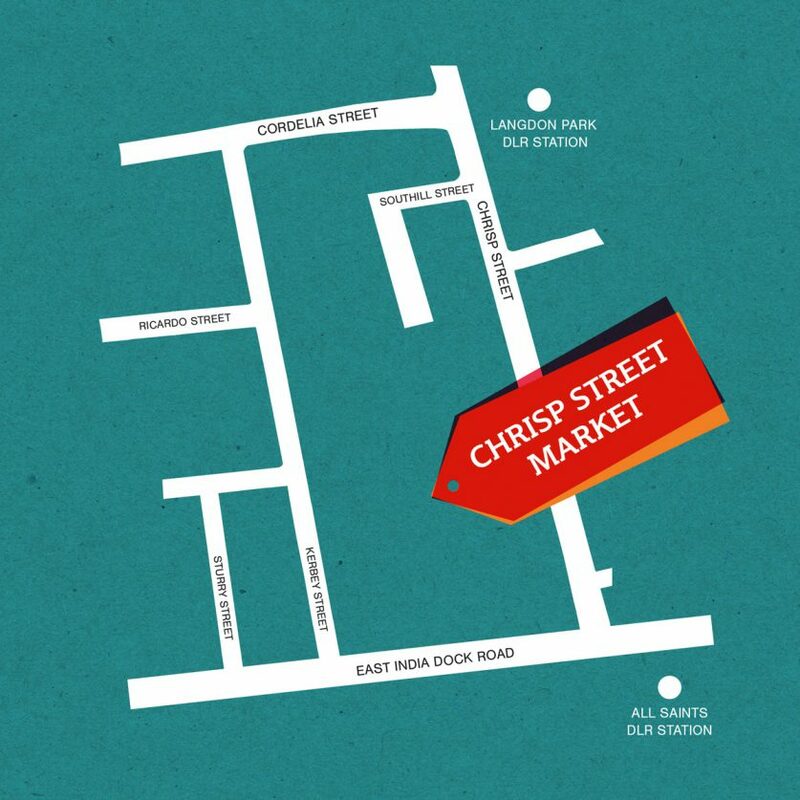 We designed a new logo and visual identity for the market, along with a set of promotional print adverts, posters and flyers. The new logo uses a set of coloured tags to represent the wide range of market sellers – these come together to form a colourful arrow device. The use of typography and texture in the identity then helps to enhance the informal and friendly tone of the designs.